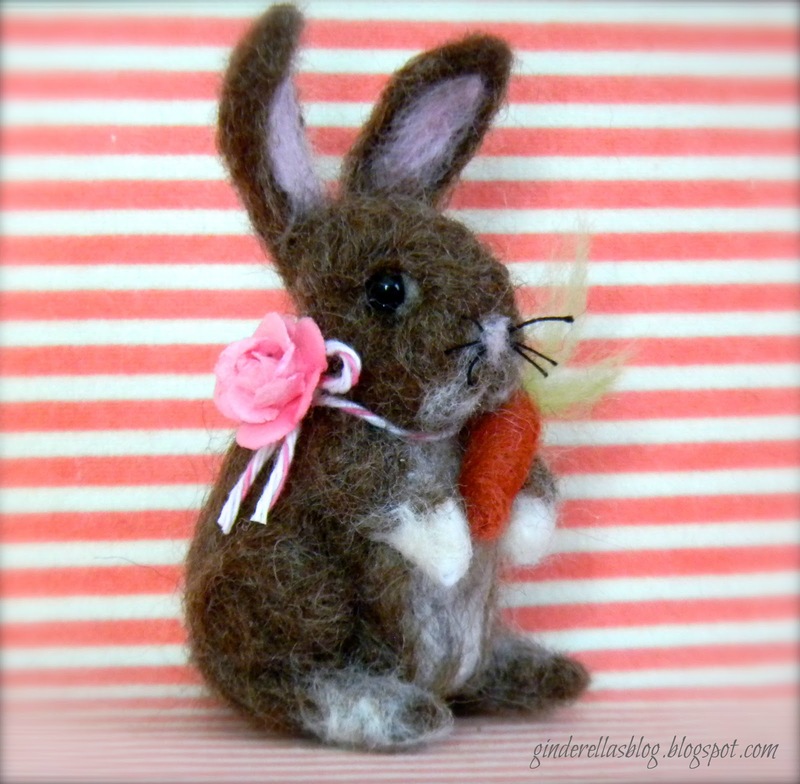 For one of my Easter crafts I decided to needle felt a rabbit. This is my first attempt at doing a rabbit. It always seems like with making the first of anything there are things I would do different when making the next one. For instance I wasn't exactly thrilled with the shape of the head, but instead of redoing it I just remind myself thats what makes it unique. Then I gave her a little home with felted eggs. Oh how pretty! I tried needle felting a rabbit and it ended up looking like a dog!! Yours is adorable! Hey Paula! this little guy is too cute!! Oh My Gosh! This is so cute! Thanks for sharing. I think this little guy is soooooo adorable!!! Great job!! Oh my!!! Oh my goodness, that is THE CUTEST THING EVER! This is beyond precious!!! I have done a little felting, but nothing as amazing as this! Hope you can stop by the enchanted oven. So adorable! Love it and the sweet eggs!Thanks so much for sharing.Would love to have you visit me sometime. Wow! That's talent! I love it! I have always wanted to do a felted project, but wasn't sure where to start. I am doing this for Easter!! So Cute. I recently started a Thursday link-up party (yes, today:), and I would really love to see this post and/or any others you would like to include. I am at allthingswithpurpose.com. Hope to see you there and for many more Thursday's to come!! 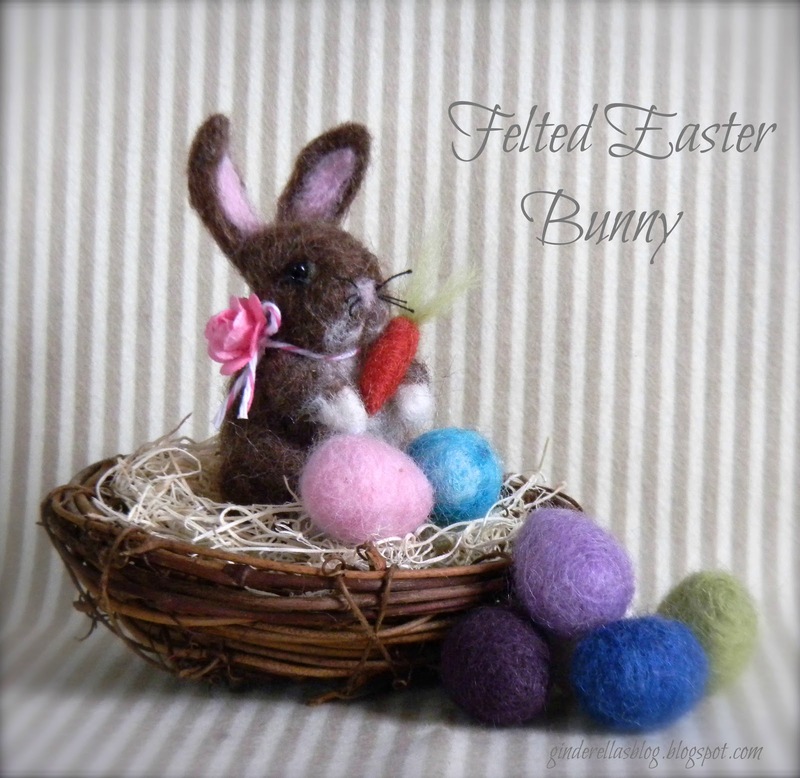 Btw, I'm hopping by from Whimsy Wednesday and hope you'll join my Bunny Blog Hop fun, too. Adorable!! Thank you for sharing with the Clever Chicks Blog Hop this week! OMG i love those little easter eggs!!! adorable. Thanks for sharing, Paula! Paula, your little bunny is very sweet. Thank you for linking up at Shabbilicious Friday this last week. I will be featuring this at tomorrow's party. Adorable!! He looks so sweet! I would love to know how to do this...is there a tutorial somewhere that shows you how to needle felt and also how to determine the shapes? Your little rabbit looks great and I think the head is shaped perfectly. Great Job! I love your felted bunny and easter eggs. The bunny has the most adorable face. I hope you'll share the tutorial on this sometime! Oh my these are adorable! Thank you for sharing them with us in our Crafty Showcase. We love seeing what you link up each week!